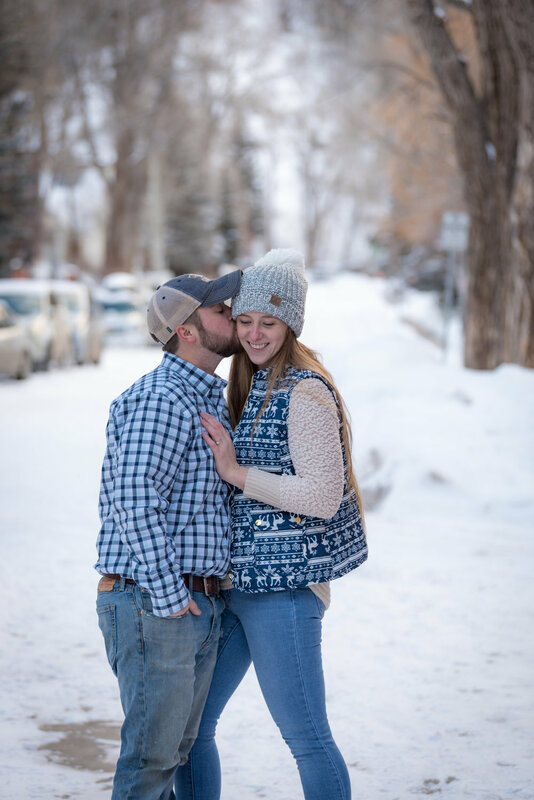 Austin pulled Samantha off the mountain for a surprise proposal in historic downtown Telluride!! Which I am sure was pretty difficult since they got 6” of fresh powder the night before. But it was totally worth it and made for a ski trip they with both never forget.